In the summer of 2009, the BLUE Ocean Film Festival held its inaugural event in Savannah, Georgia. Presenting both ocean-themed films and discussion panels covering a range of ocean conservation and filmmaking topics, it was very well received by an amazing mix of conservationists and media professionals. 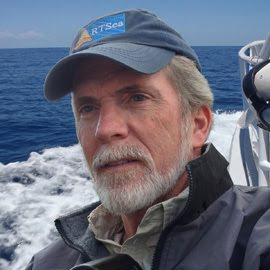 I was honored to moderate a discussion panel on shark conservation and it was at this event that I got to have my first extended conversations with people like Dr. Sylvia Earle, underwater photographer Brian Skerry, marine scientist Dr. Carl Safina, and many more. For a brief few days, I was in ocean advocacy heaven. 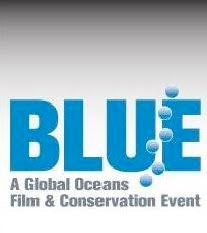 In 2010, a move was made to Monterey, California, and the event grew in scope to become BLUE - A Global Oceans Film & Conservation Event. Once again, great films from leading studios and filmmakers were presented and there were important discussion panels, and presentations. In fact, the biggest challenge was trying to be in more than one place at the same time - there was so much going on. Once again, I was honored to chair the discussion panel on shark conservation and was able to have as panelists Peter Knights, executive director of WildAid; Dr. Greg Stone, senior scientist for the oceans at Conservation International, Stefanie Brendl of Hawaiian Shark Encounters; and Laleh Mohajerani, executive director of Iemanya Oceanica. Additionally, I conducted an underwater video workshop which included some remarkable dives in Monterey Bay as the bay was experiencing a massive invasion of Sea Nettle sea jellies that summer. The executive board of the festival decided to make the festival a bi-annual event and with that extra time to plan an even bigger and better event, BLUE returns to Monterey in 2012, scheduled for September 24-30. Between events, the festival crew has been busy with the BLUE on Tour, a traveling, educational ocean media show that has played to universities and communities from Mexico to Australia. 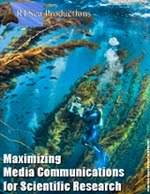 If you are an experienced underwater filmmaker, I encourage you to submit your films to the festival. There are a wide range of categories for pros and aspiring greats, ranging from theatrical to online shorts and you can submit through the festival's website or through Withoutabox.com, the online service that has come to dominate the film festival submission circuit. The regular deadline for submissions is March 16th but they have an extended deadline, so there's still time. If you are an avid ocean lover, this is simply an amazing opportunity to not only learn about what is going on in the world of ocean conservation, science, and policy management, but it is also a chance to meet many notable names in a relaxed casual environment as there are social events in the evening that bring all the participants together in both a common cause. . . and a little wine and cheese. BLUE - A Global Oceans Film & Conservation Event - September 24-30, 2012 in Monterey, California. Passes go on sale May 1st. Film submission's regular deadline is May 16th with an extended deadline to April 6th. 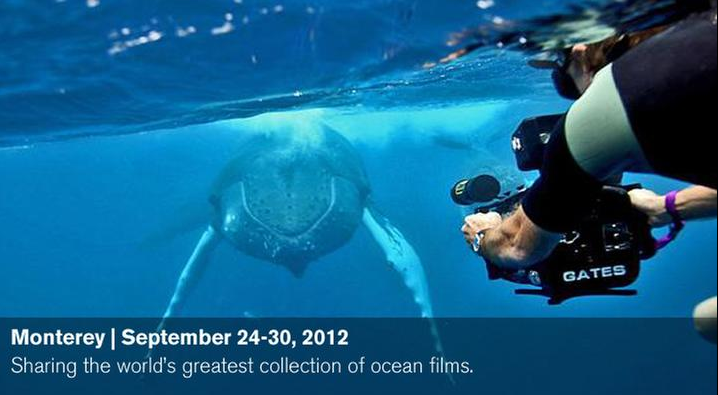 If you love the oceans, if you enjoy ocean films - then this is the place to be.